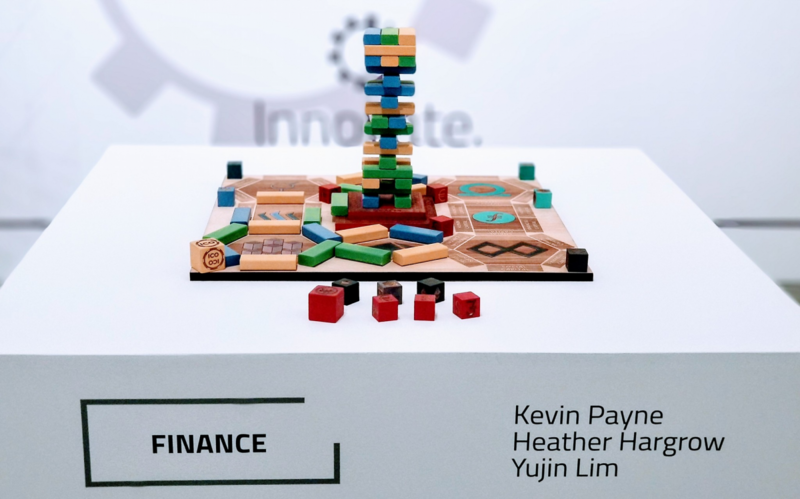 This innovative board game explores the potential effects of cryptocurrency, such as Ethereum-run Decentralized Applications (DApps) on society. Players play either as the corporate elite who control the majority of the resources or the independent DApps who challenge them in competition for blockchain technology. In the game different types of capital (human, social, etc.) are represented by blocks and are either stacked, helping the corporate elite, or removed, helping the DApps. Much like Jenga, selecting blocks becomes tricky as the game progresses. The game ends when one side controls all resources, or the tower falls (and therefore, society) collapses. DApp Tycoon is one of three board games produced in think[box] by a team of CWRU MBA and CIA students. 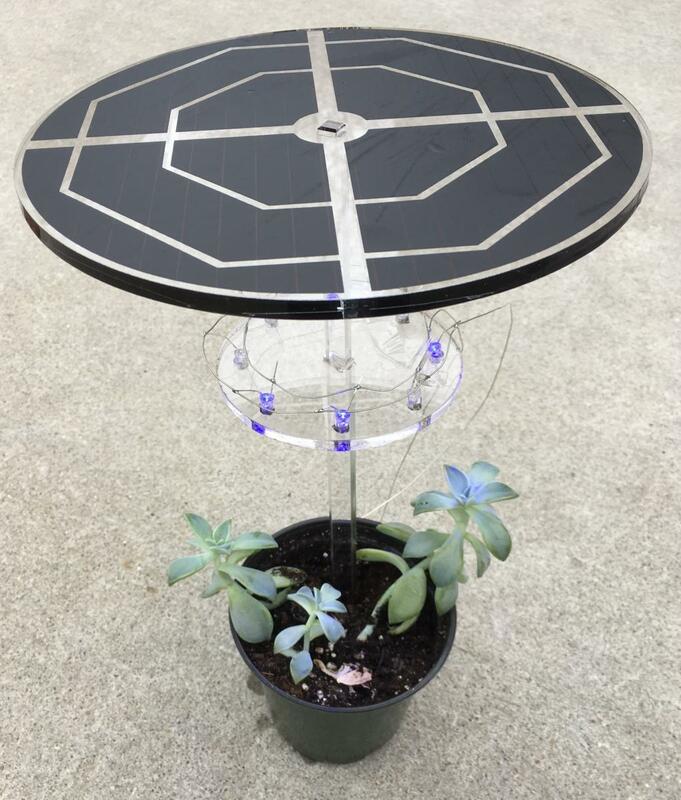 The grow light makes use of ambient electromagnetic energy to power LEDs and is optimized for plant circadian rhythms. This rear control arm acts as a lightweight, load-bearing suspension member for a Baja racing competition vehicle. 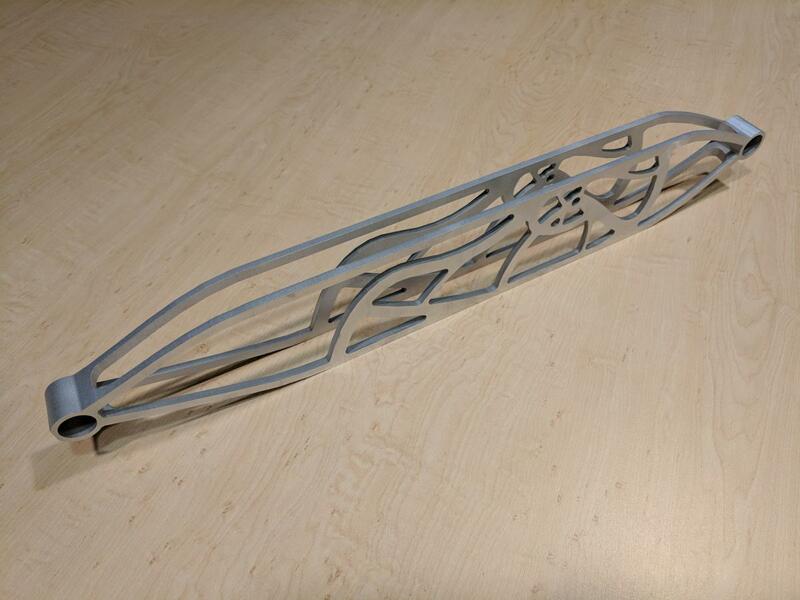 The CWRU Baja SAE team designed this part using Altair Inspire, a specialized 3D design software that optimizes strength of a part while minimizing its weight. By simulating the loads that the arm will need to carry, the software generates the lightest possible support structure. The students then used the waterjet cutter to fabricate the part out of a solid block of extruded aluminum. This replica of a semi-hollow body Washburn Delta King was created using the CNC table router. 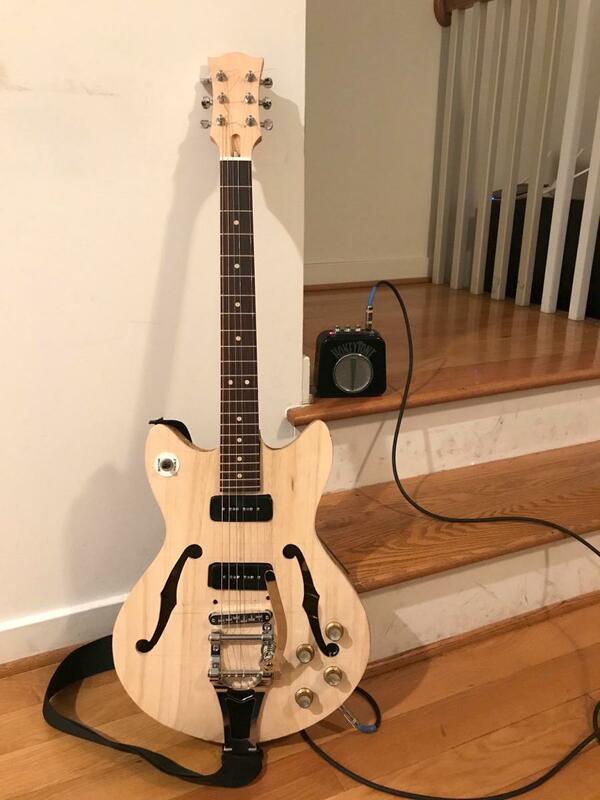 The original guitar was traced on a large sheet of graph paper, and bezier points were selected and then plotted in SolidWorks as splines for the CNC table router to cut. 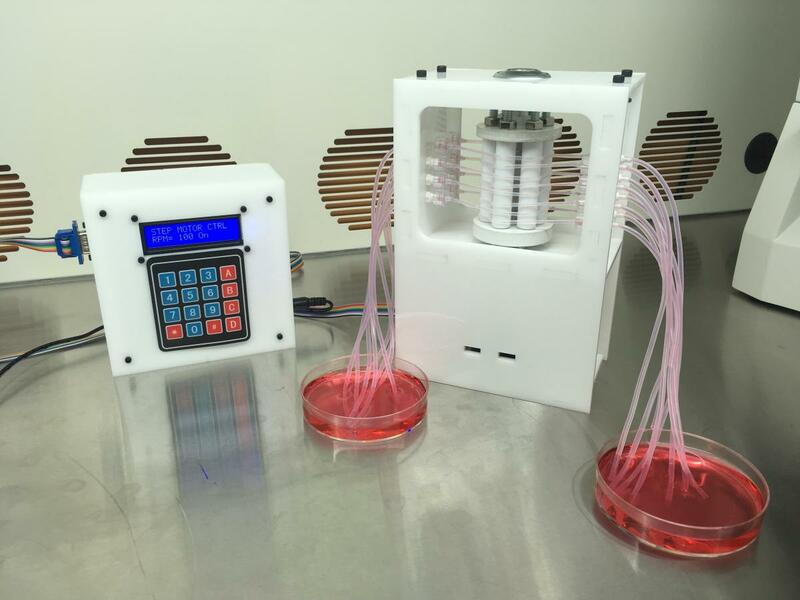 This low-cost peristaltic pump was built for use in cultured meat research at Kent State University. Cultured meat is the process of creating lab-grown animal cells for human consumption, with the goals of increasing animal welfare and reducing greenhouse gas emissions. Peristaltic pumps are commonly used in biological applications because the pump does not make direct contact with the biological media, thus avoiding contamination. 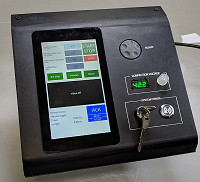 Although peristaltic pumps are available commercially, this design addresses a need for small, customizable, low-cost solutions for wet lab equipment. This user-friendly device controls and monitors a complex process for creating Electrochemically Aligned Collagen (ELAC) threads, a biomaterial used in orthopaedic repairs. ELAC threads are difficult to produce in the continuous lengths needed for practical application, but this system can automatically produce them to the necessary specifications. This controller oversees all production parameters and allows the operator to control all settings through a user-friendly interface with a live video feed. The project was funded by the Student Project Fund and used the laser cutter, wood shop, and tools in think[box]. A Bilirubin blanket is a non-invasive light therapy treatment for babies born with jaundice. Bilirubin is a compound normally found in the body and responsible for a certain catabolic pathway in vertebrates, however excessive amounts of bilirubin in the blood can be problematic. Exposing the skin to a certain frequency of blue light has the effect of helping the body eliminate excessive amounts of bilirubin from the body. 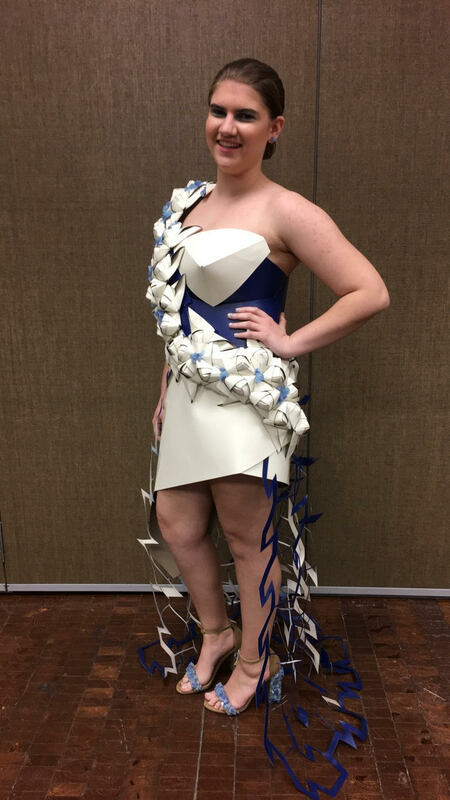 Designed for the Product Runway 2017 runway fashion show, this gown was crafted by Cleveland Institute of Art students studying Interior Architecture and Graphic Design. The garment was constructed with laser-cut leather pieces which were hand-crafted into origami details forming a floral design across the gown. 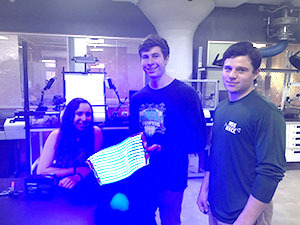 This pair of bluetooth enabled jackets feature more than 600 LEDs apiece and respond dynamically to the proximity of the other jacket in one of four lighting patterns including a rainbow, heartbeat, and an ice/fire motif. Individually addressable APA10C LEDs enable vibrant, shifting colors, while the RFduino uses the strength of the bluetooth signal to rapidly compute what the jacket will look like every 16 milliseconds. This comic book character costume was carefully crafted using cast off cinema clothing as a basis for the custom pattern. 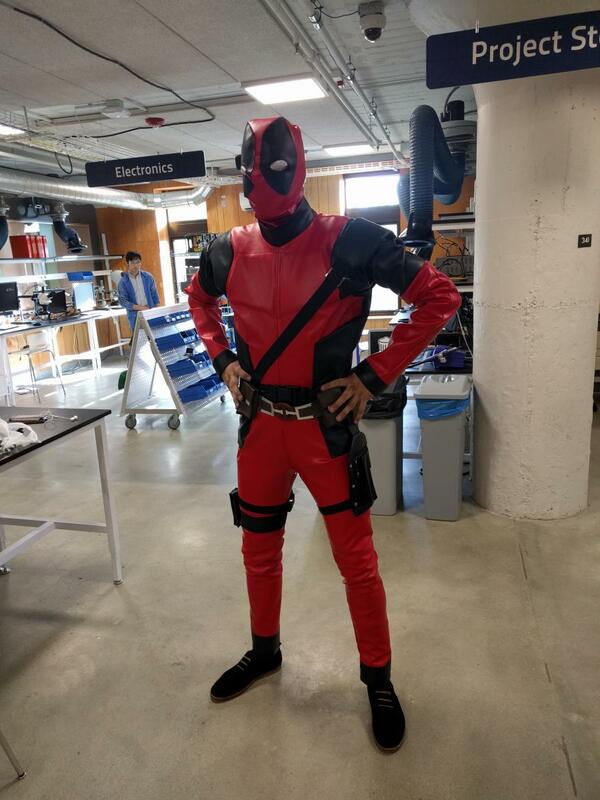 After the original pattern was modified to fit this particular merc with a mouth, the entire jumpsuit was sewn on think[box]’s sewing and embroidery machine.